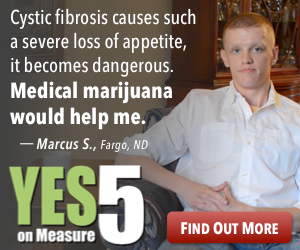 Measure 5, the legalizing of medical marijuana is on the ballot in North Dakota on November 8th. 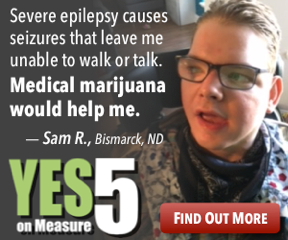 As a young girl growing up on a farm in North Dakota, I was taught by my alcoholic father that marijuana (cannabis) was a horrible “gateway” drug that would destroy my life. Little did I know that later, as a 70 year old retired teacher and grandmother, I would throw all caution to the wind and search in the night for this drug to help my daughter find relief. 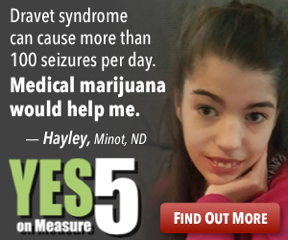 Medical marijuana is helping adults and children of all ages who are undergoing all sorts of disorders. Kids that have tried and exhausted all prescription medications for seizures are using MM to control them. People with chronic pain are using it with success thus being able to decrease or completely stop taking Rx addictive pain meds like the opiates we read about in the news. Patients with MS and ALS use it for relief from painful muscle spasms. 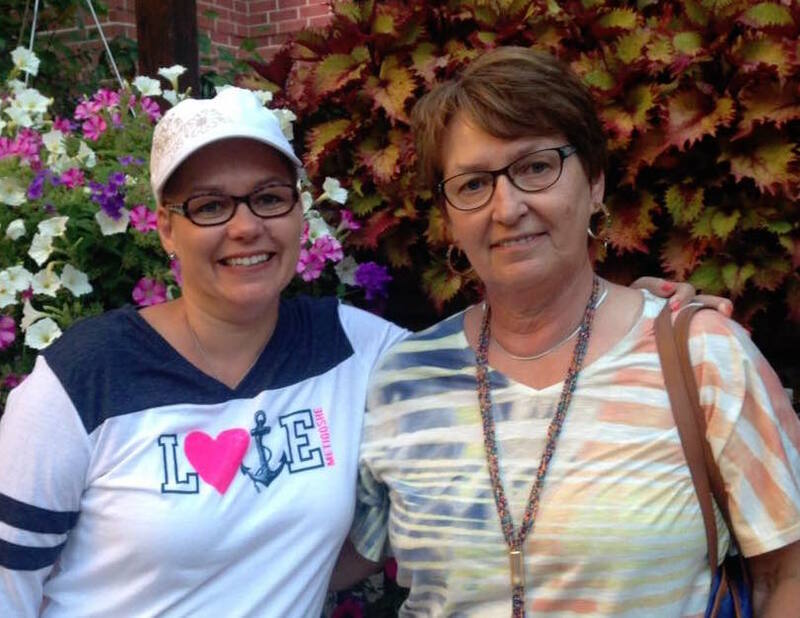 And then, of course, there is the cancer patient who may be you, a relative, or a friend. Modern treatment of cancer includes high dose steroids, addictive pain meds, anti-nausea medications, and laxatives all to lessen the side effects of surgery, radiation, and chemotherapy. You’re maybe asking where is the medical profession on this? Why aren't they backing it? Here’s my answer: Ask a doctor “on the record” and “off the record” and see if his or her answer is the same. Doctors like their licenses and have to stay on the good side of the AMA. And pharmaceuticals, hey, the whole EpiPen debacle has taught us where their hearts lie. Early voting is upon us. 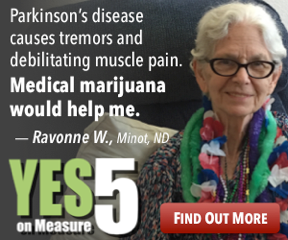 I am personally asking for your help with a “yes” vote on Measure 5. Thank you.